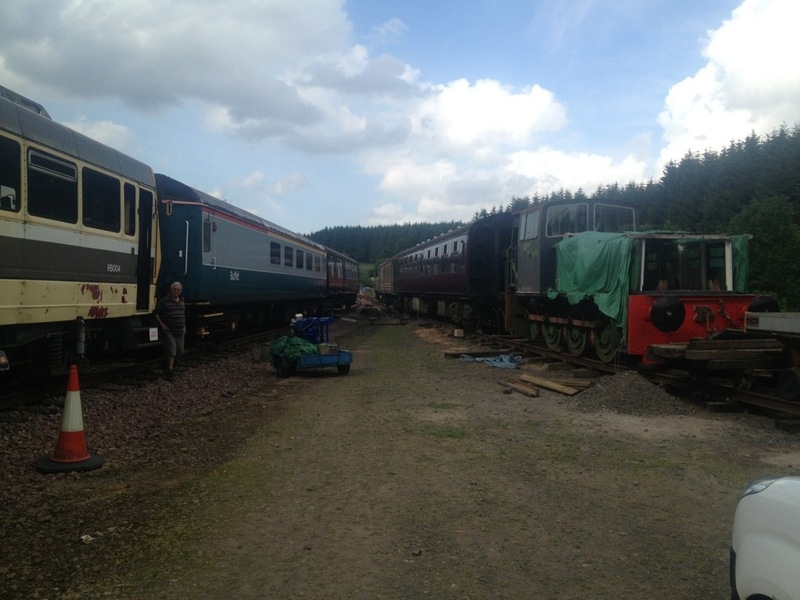 A truly massive weekend of productivity occurred at Whitrope last weekend as a large crew and excellent weather combined to ensure conditions were just right for work, if slightly warm! Mike at Cumbria Lift and Shift helped greatly with his Palfinger equipped flatbed truck, not only delivering our new ground frame on Saturday but assisting with important movements of rail and sleepers that allowed us to position approximately 100 F28 and G44 sleepers for both a southward extension of two track panels towards the site of bridge 201 as well as for permanent laying of the missing panel over bridge 200 which had been left out whilst survey work was carried out. 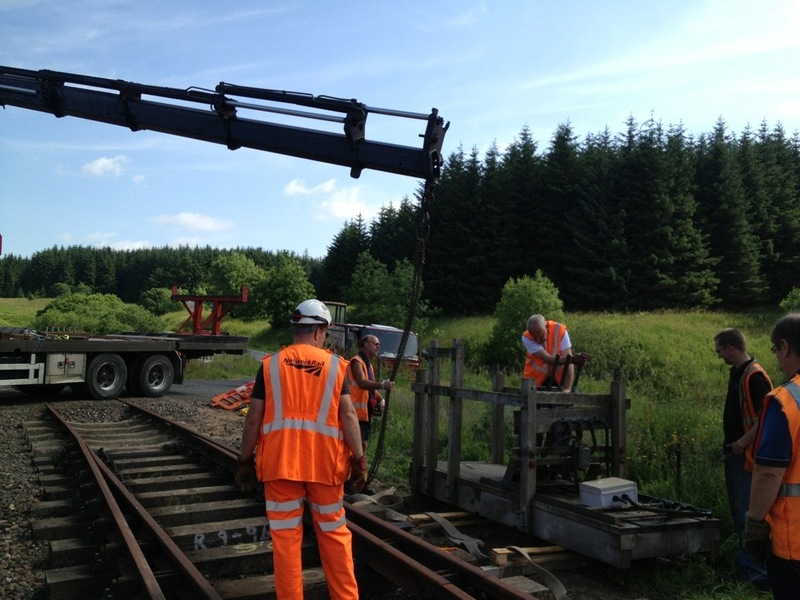 Further groundwork in connection with the lever frame and our embryonic signalling system was carried out whilst other volunteers prepared the ground for the bay platform face. 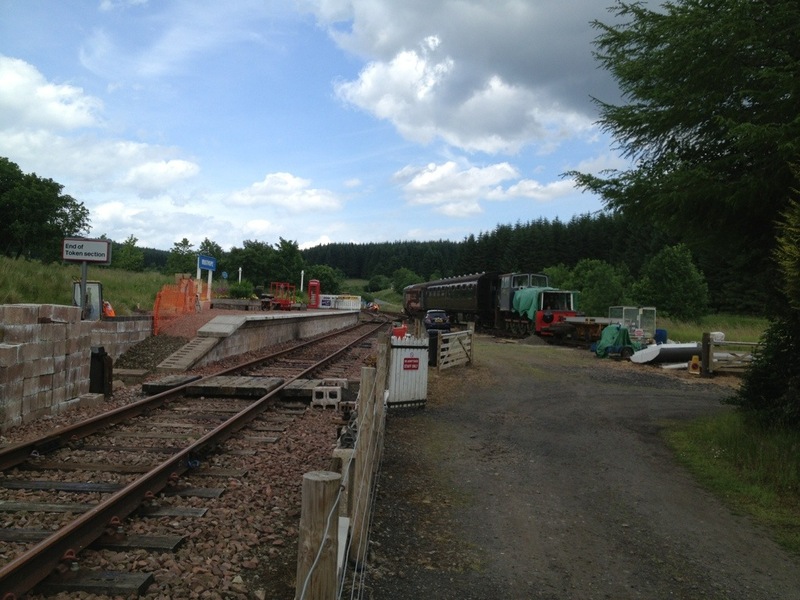 One of the biggest pushes the site has witnessed since its inception was crowned by some major stock re-marshalling, made possible by our newly commissioned stock siding. The Mk1 TSORB has been ‘retired’ from public service for now for use as a staff mess, allowing the Mk2f RF to present a somewhat classier public face to the railway. 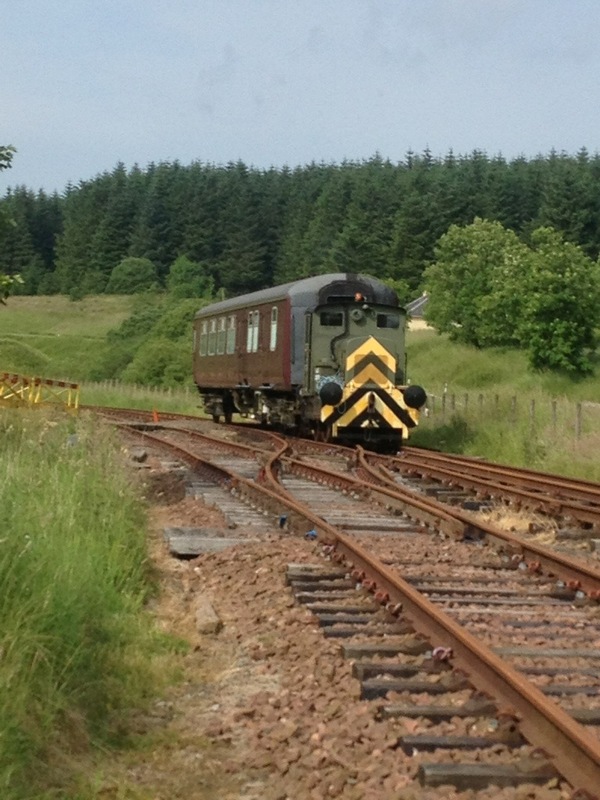 Incidentally, another little piece of history was made on Friday when our Mk2 BSO became the first passenger vehicle over Whitrope since April 1970. History is forever being made at Whitrope these days! 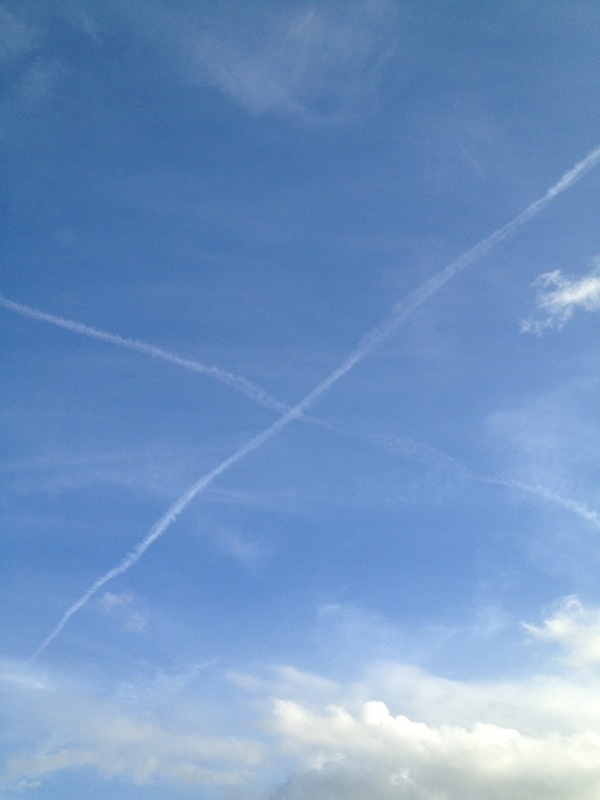 ← The Coo’s ither tail!